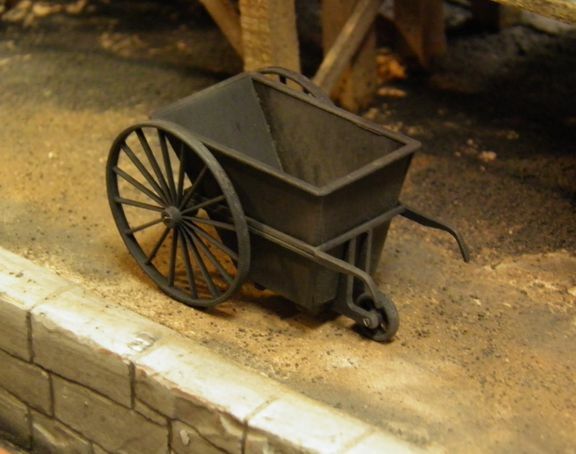 This cart is based on the coal carts used in the maritime industry and often seen in old photographs lined up along side passenger steam ships. Bucket is detachable. Would be suitable for coal, ash, trash, and ore plus many more uses. Attach 3 small chains and use a small derrick to fill a coal tender. Lots of possibilities. Kit includes laser cut parts and brass rod.